How do you know who are your office Connectors? Whose door gets opened and closed dozens of time a day? Would you care if you knew? A lot of highfaluting and important-sounding stuff gets written about office culture, team building, and other human resources buzzwords. I like to think that as much – or more – can be found in small clues left around by the people themselves. A desk with a pile of printouts covering 3 old laptops and 5 coffee cups on it tells you as much about the person as his resume would. At least as much. But I digress. 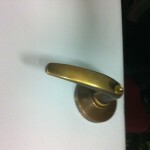 A similar clue struck me as I walked around offices a little Â while ago, late in the evening. 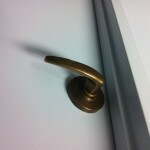 It was quiet – everyone had gone home and I had a thorny problem to solve. 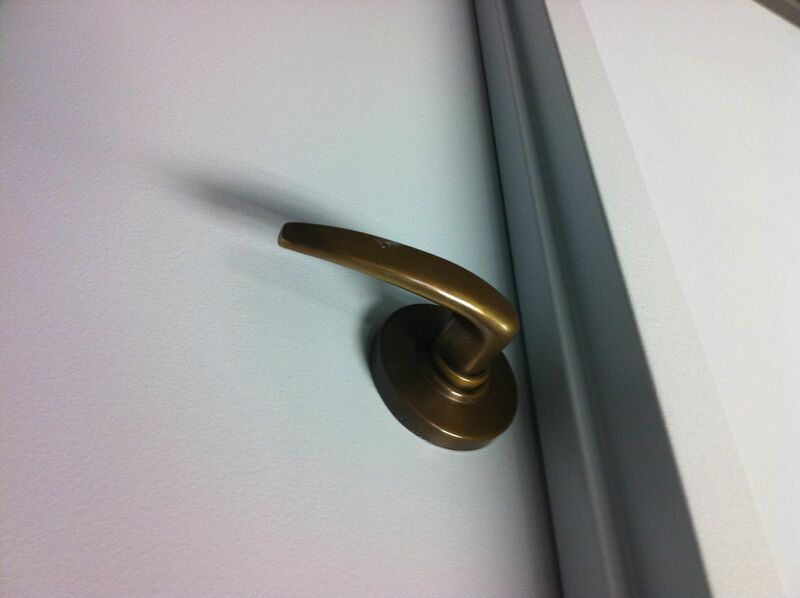 As I walked the office perimeter, trying to think, I realized that new carpet and paint brought out the wear-and-tear of the doors – specifically door handles. 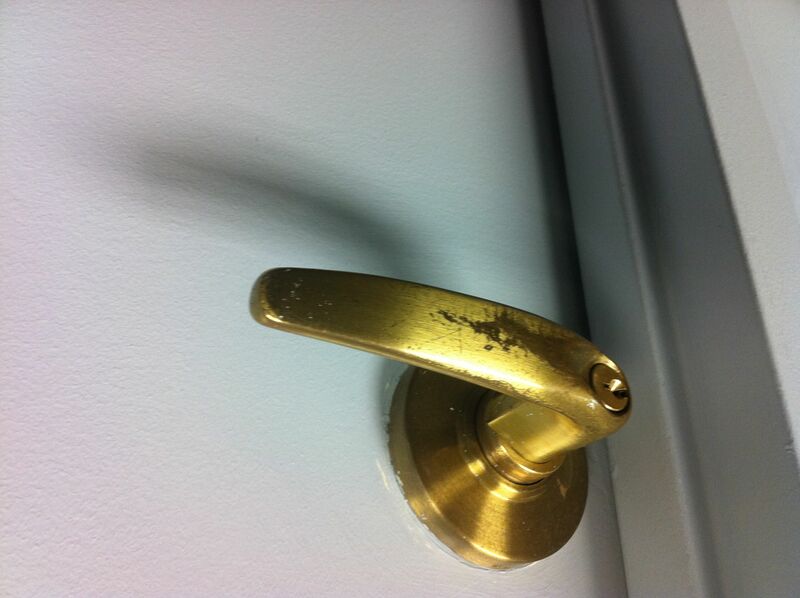 When I looked at these handles, I actually knew immediately which offices they belonged to – and thought the amount of wear and tear on them made perfect sense given the occupants. What’s my point? As people decorate and redecorate their offices, fight for team improvement and cohesion, alignment, productivity – they should not forget that in the end there are human beings sitting inside these offices. 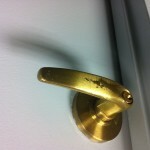 And so if they find a worn out handle on someone’s door – do not replace it, just quietly give the guy (or gal) a raise. This entry was posted in Entrepreneurship, Personal. Bookmark the permalink. What about a door that is always open? doors always closed are not the ones with really “connected” people. intensity of the task. All of these actions touch the handles. 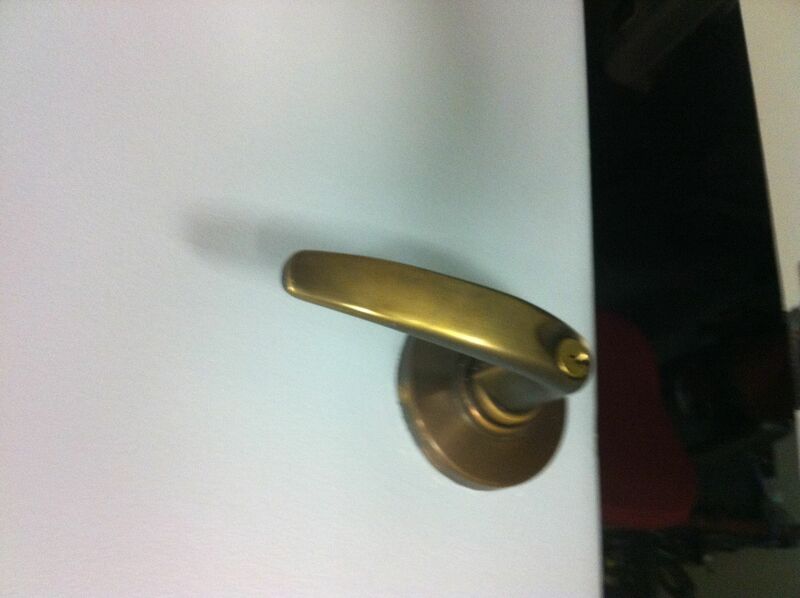 And no – none of the photos are of my door handle.